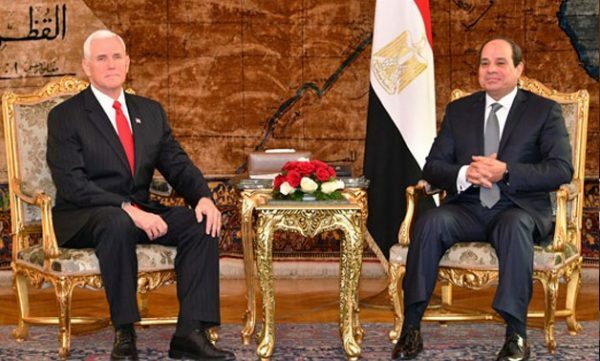 Pence said he assured Sisi that the United States was committed to preserving the status quo of holy sites in Jerusalem and had come to no final resolution on boundaries for the two parties. “My perception was that he was encouraged by that message,” Pence said. Vice president and Sisi both posturing for the media. The conservative Christian Pence, will not discuss the Jerusalem decision with a muslim. Pence is not scheduled to meet Palestinian leaders, what a surprise….